When a life-limiting illness is no longer manageable at home, the Baptist Trinity Hospice House can provide much-needed comfort and support to patients and their loved ones. 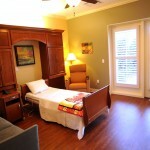 Located on the campus of Baptist Memorial Hospital-Collierville in a tranquil wooded setting, the Hospice House opened its doors in the fall of 2010. 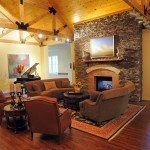 The residence features a home-like environment with 24 private rooms that open to individual outdoor patios, a patient spa, large living room areas with three fireplaces, a children’s play room, a 24-hour inclusive chapel, wireless internet throughout the house along with an internet café, outdoor gardens, pet and music therapy, and home cooked meals prepared on site. 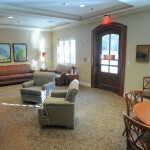 Patient family needs are also accommodated with comfortable spaces for congregation. Adjacent to the Hospice House is the Kimmons Wilson Family Center for Good Grief offering programs free of charge to patients and their families, along with anyone in the community who has lost a significant loved one. Office Scapes is proud to be a part of this project. 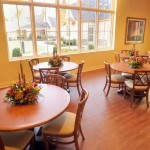 Our services assisted in providing the desired atmosphere of a hospice residence by understanding the design needs and requirements for a special place like this.